We have expanded our range with the DrumIt Five MKII. The new module combines the features of the popular DrumIt Five with the features of the DrumIt Three. Thanks to the “Universal Trigger Interface”, most common pads from other manufacturers such as Alesis, Roland and Yamaha can be used. This makes the DrumIt Five MKII the first choice for hybrid setups and to upgrade an existing e-drum set. The DrumIt Five MKII has a card slot and comes with a 32 GB SD card. The system supports SD cards up to 64 GB. 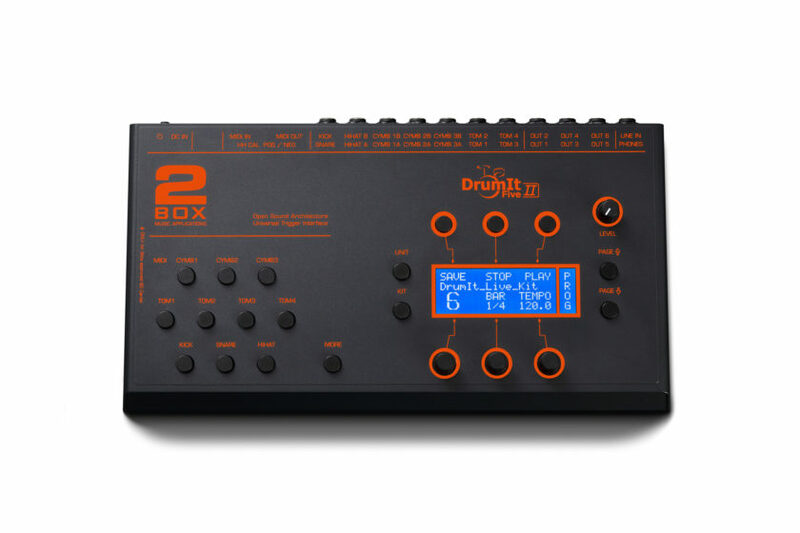 The DrumIt Five MKII module is expected to be available in April 2019. Previous Post:Shannon Forrest about the DrumIt 3!